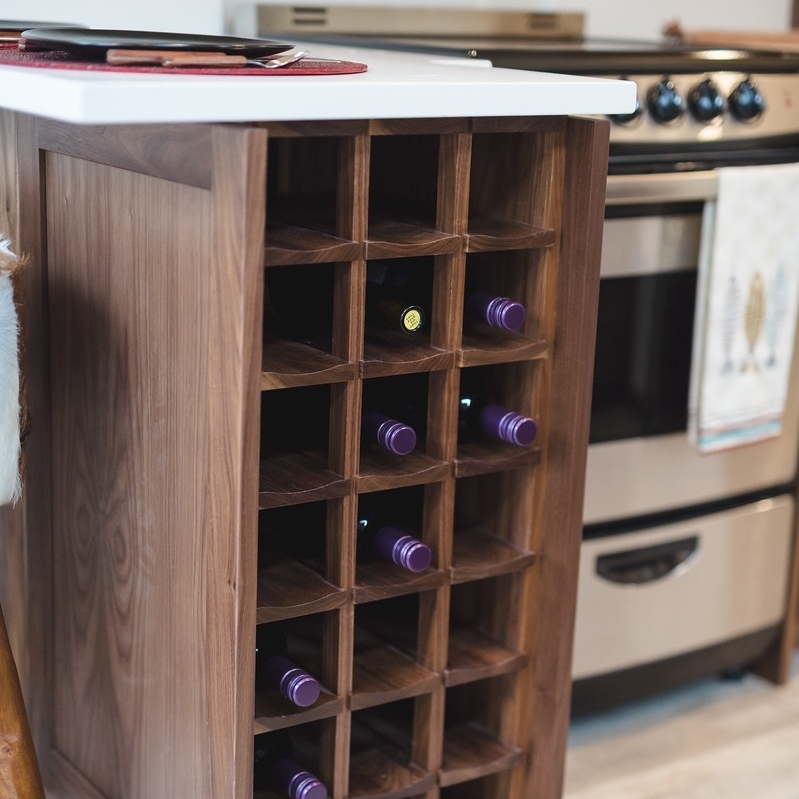 Built-in 28 bottle wine rack functions as a kitchen bar big enough for seating two. 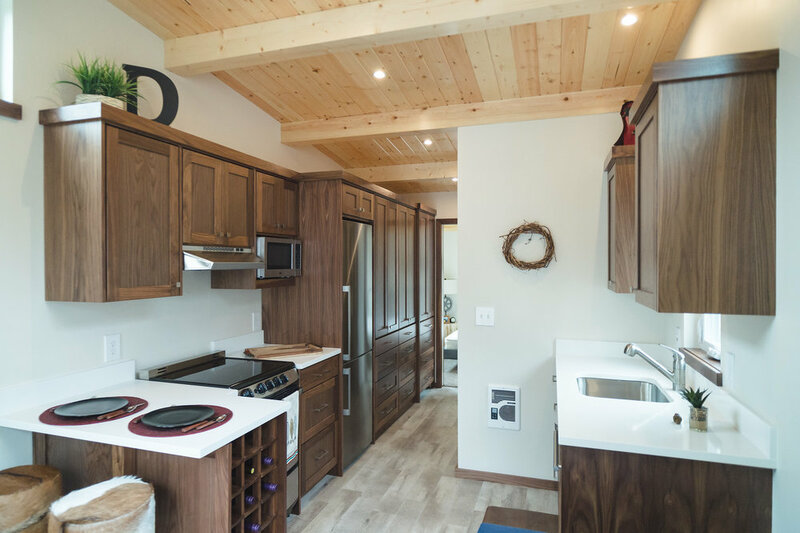 Vaulted wood ceiling- made from knotty pine or a knotty cedar depending on finishes. Featured choices of, CVG Fir, Maple, or a high end painted kitchen. Closets have soft closing hinges and built in sensor LED lighting. 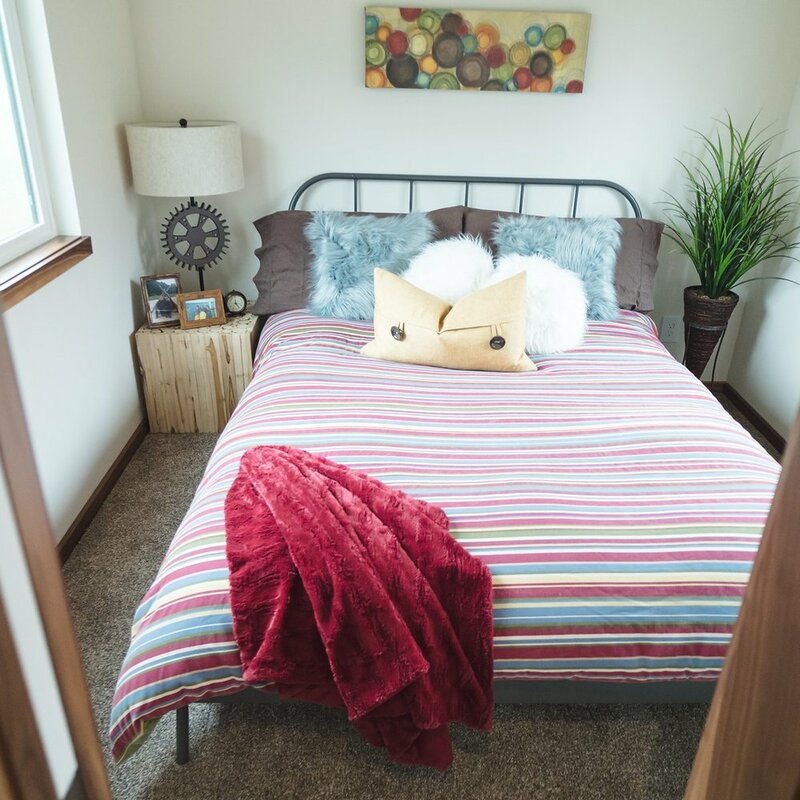 Big enough to fit a Queen size bed and then some.